Did you order your Eastern Palace bundle yet??? 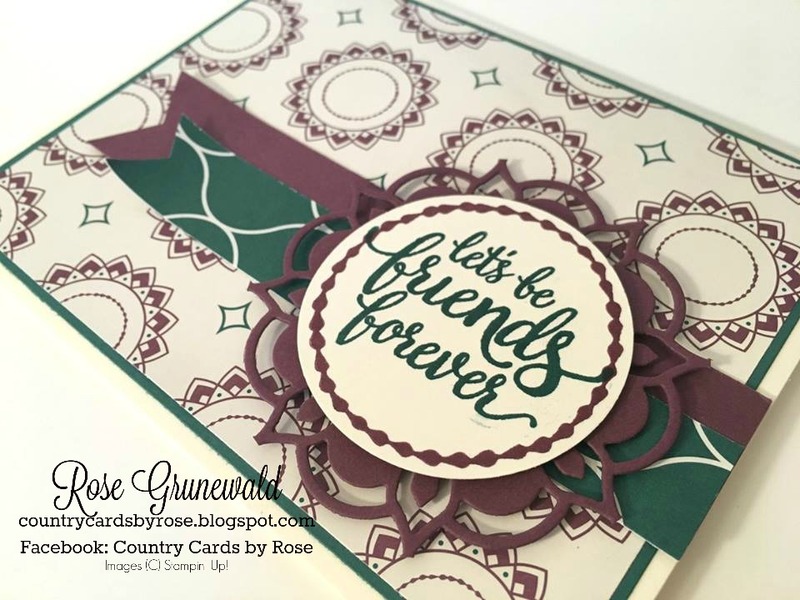 I love new catalog time, and I love that Stampin' Up! has released the Eastern Palace bundle ahead of the new catalog. 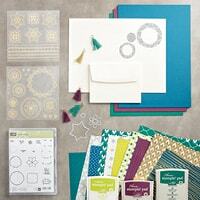 This bundle is amazing - beautiful DSP, gorgeous stamps with sentiments and shapes, and the dies really wow! Adhere the largest piece of DSP onto the Fresh Fig layer, add the two banners where shown. Fresh Fig banner is 1” wide, Tranquil Tide DSP banner is ¾” wide. Adhere to Very Vanilla thick card base. Die cut a Fresh Fig scrap with the largest medallion circle a trim at the points to pop out a Fresh Fig Medallion. 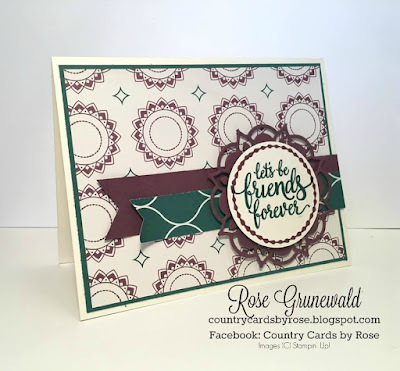 Stamp the circle in Fresh Fig on a scrap of Very Vanilla, Stamp sentiment in the center of the stamped circle in Tranquil Tide. Crop the image with the 2” circle punch. Adhere the punched circle to the Fresh Fig medallion with dimensionals. Adhere the Fresh Fig medallion to the card base with dimensionals over the top of the banners. What a simple, but beautiful card that just uses Eastern Palace products (and a circle punch). I love it!Remember, if you buy the Eastern Palace bundle from me using my May hostess code KCGZKGBH, you will receive exclusive tutorials on 25 more cards (26 cards total) as my gift to you to think you for your business! 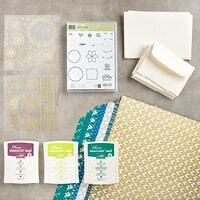 You'll be able to sit down and get to crafting right away with tons of ideas!